Adsense has many hiding facts which you might not know, most times we don't try to read some term and conditions of some online stuffs which is bad. The issue of changing a hosted adsense account to non hosted account was organized to help the young bloggers or webmasters who later became more serious in the internet business by getting a domain name for their blog or website. 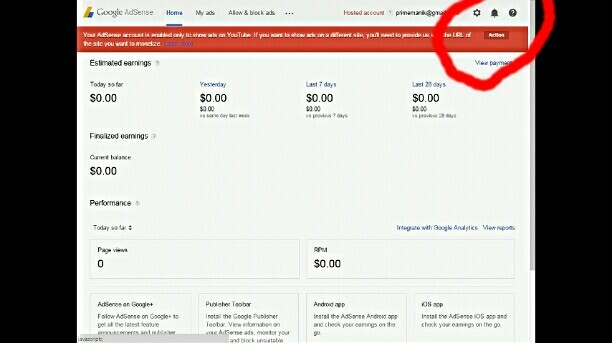 Why do I need a non hosted adsense account? Having a non hosted adsense is of a great benefit because you can use it. share it with more than one blog or website site but make sure any site you intend to share with know the adsense policy to avoid been banned. why must i choose to work only with google adsense? Google adsense is the best and trusted in time of payment. There payment is sure and a monthly basis. 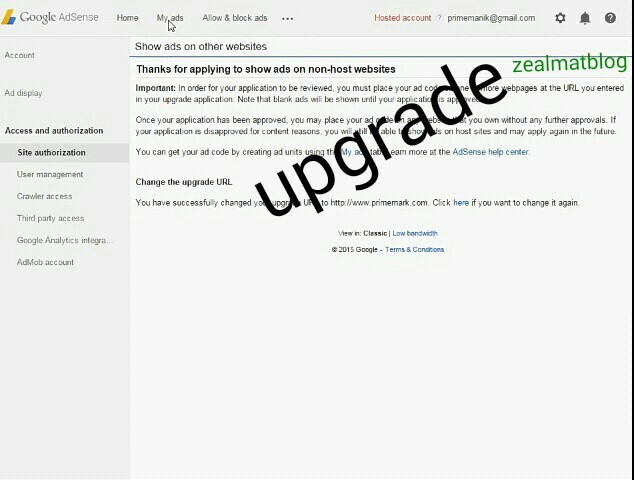 Below are some easy steps on how to change hosted adsense account to non hosted account. You will need to login into to your adsense account. Now check at the top of your adsense dashboard there is a subheading in red at the right hand side there is a button called Action. After placing your URL click on the submit button below. Now move your arrow to the top and click on my ads and then create an ad unit. When creating the unit select recommended finally click save and get code. Now copy the pop up code and past on blog or website and that all you need. and wait for approval or disapproval message. I hope you enjoy this tutorial why not drop your comment below thanks. Happy blogging. This is for those with adsense running on their blog right? 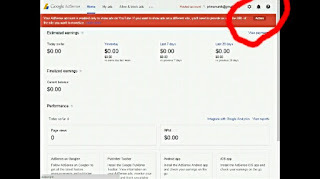 dear i dont have website how i sign in with google adsense??? Hello thank you for the question..